Annapolis Plumbing & Heating Contractor | Heidler, Inc.
Water, it is essential to our existence on life and is often thought of as a calming presence. Yet, every experienced homeowner knows that water can be a damaging force on our homes and sanity. That is why keeping a watchful eye for potential and current leaks in the home so you can nip them in the bud as soon as possible. Early intervention and a healthy dose of prevention will save your home from potential disaster and save yourself a lot of headaches. Go into your bathroom and remove the top of the toilet tank. Stand with the toilet for a few minutes and listen for any sounds. Hissing, water running, and anything other than the sound of stillness. If you are not hearing anything right away, but still suspect there might be a leak then move to the next step. Buy some food coloring and make sure the color is striking. Drop a couple of drops into the tank and if in a few minutes the toilet bowl shows the color then there is probably a leak in your flapper which is allowing water to seep through and driving the costs of your water bill higher. Either replace it yourself or call an experienced plumber to ensure the job is done correctly. If you live in a two story home look at your walls underneath places where water runs. One thing you will notice is your paint or wallpaper becoming warped due to water running over the material. This was a major indicator that your pipes might have a slow leak and you should definitely check them for any cracks if you have access to the pipes. This is a great way to detect if there is any leak at all inside the home. First you must shut off the water in and outside of the home. Any water using equipment must also be shut off. Then go to the water meter and record the reading. After about 20 minutes record the reading again. If there is movement in the reading then it might be due to a leak. 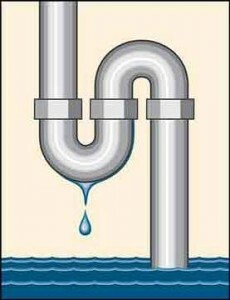 This help to find larger leaks in the home and may be the time to seek a professional. Call Heidler Plumbing at (410) 268-7191 today to get your Annapolis, MD system checked out by a professional plumber! If you have an urgent situation please call (410) 268-7191 for emergency service. Emails are not answered outside regular business hours and will be responded to during the next business day. Thank you. Click here to see all of our awards!